Natural gas can be used to fuel almost any kind of vehicle – motorcycles and three wheelers, cars, vans & pickups, lift trucks, buses, trucks, trains, boats, even aircraft. The availability of vehicles or conversion equipment varies greatly from country to country depending on local conditions. 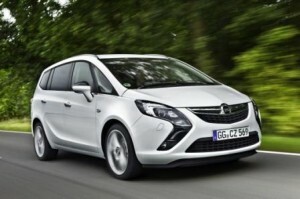 A wide variety of models are available from Original Equipment Manufacturers, with OEM CNG vehicles being included in many current product ranges. CNG can technically be used in any car engine, though ideal applications are vehicles that can do higher than average mileage. Vehicles that only travel low mileage can be used, but it may take longer to recover the cost of conversion or the premium on a new CNG vehicle through fuel cost savings. In the case of a converted vehicle, a CNG storage cylinder is usually installed in the trunk of the car. Apart from the loss of trunk space, the driver will notice little difference in the performance of the vehicle (though they will usually notice lower fuel costs). An OEM (production line) vehicle often has the CNG storage cylinder installed under a seat or elsewhere wihin the chassis to minimize or eliminate the loss of luggage space. 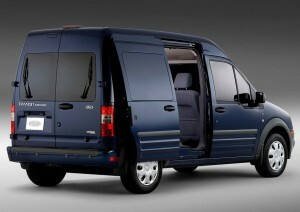 The Ford Transit Connect (CNG) is in growing demand for fleets of all types, including taxis and service vans. Vans and pickups are well suited for CNG, mainly because they usually have plenty of space for fuel storage and often cover high mileage. Courier vans or delivery vans that are on the road all day are especially suited. Likewise taxi fleets have adopted the CNG-powered van for its cleaner and quieter performance. Larger CNG-powered vans are being utilised as service vans by government and private utility providers. CNG is ideal for lift trucks and fork lifts, due in part to the low emissions of CNG engines and ability to refuel on site. Because lift trucks and fork lifts often work indoors, vehicle emissions are a critical factor. As CNG produces lower emissions than gasoline, diesel or even LPG (propane), a CNG lift truck helps warehouse operators to meet occupational health and safety requirement and improve staff health. 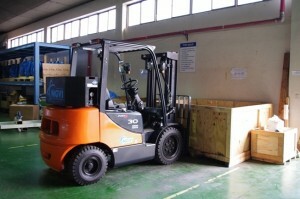 Another advantage over LPG is that the lift truck or fork lift can be refuelled without having to swap over heavy cylinders. Occasionally used for motorcycles, compressed natural gas (CNG) is more often used for three wheelers, or tuk-tuks as they are called in Thailand. 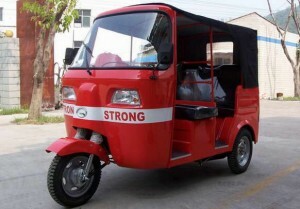 Being more stable and having more space, three-wheelers are well suited for CNG and are used extensively in Thailand, India, Bangladesh and other mostly Asian countries. Most three wheelers fitted out for CNG are used as taxis or light delivery vehicles. 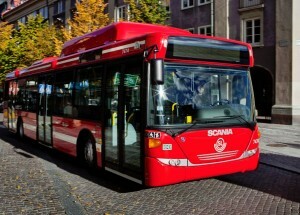 Urban buses and transit buses are among the most popular uses for natural gas, usually utilizing CNG but occasionally using liquefied natural gas (LNG). A number of trials are currently under way testing HCNG, a blend of hydrogen and CNG. Because the amount of mileage an urban bus travels doesn’t vary much from day-to-day the fuel requirements can be catered for quite easily. Storage cylinders for CNG, LNG or HCNG are often installed on the roof of a bus, allowing the weight to be distributed evenly over the chassis. The best fuel choice for a truck depends on the duty cycle of the vehicle. 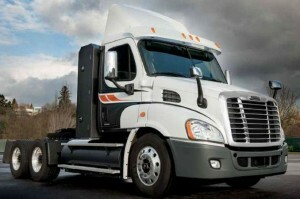 Trucks that do lower mileages or that return to a base frequently will often be suited for CNG, while heavy duty trucks that do higher mileages might be more suited for LNG. Waste management companies globally have adopted natural gas fuelled trucks for municipal and private fleets, with many refuse trucks fuelled from biomethane gas generated by landfill. In some applications a fleet operator may choose a dual-fuel natural gas engine over a dedicated natural gas engine, giving them the option of switching to diesel if natural gas supplies become restricted. Trains are a relatively recent application for natural gas. While experimental or small scale trials have happened in the past, larger scale commercial applications have only begun in recent years. Peru, Sweden and India have developed rail programs, with the Swedish operation making use of bio-methane, natural gas made from waste or renewable sources. 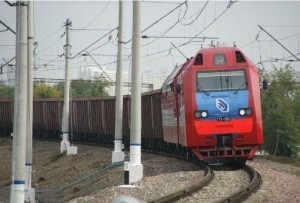 In 2011, the Russian-developed GT1-001 gas turbine-electric locomotive successfully hauled 16,000 tonnes in 170 rail cars, a new world record for a single prime mover with an internal combustion engine. In Canada, a consortium is working to integrate Westport’s high pressure direct injection (HPDI) technology and natural gas fuel system technologies into an EMD locomotive provided by Canadian National Railways (CN). The maritime industry is increasingly adopting natural gas as a fuel of choice. In particular, ship builders and fleet operators seeking to comply with stringent International Maritime Organisation (IMO) regulations governing marine emissions are turning to dual-fuel engines that use LNG or LNG and Diesel (dual-fuel). 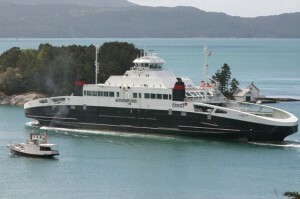 The two years up to mid-2012 have seen more than 20 new LNG-powered vessels launched, primarily in Norwegian waters and including passenger/car ferries and offshore supply vessels. Several more vessels are on order, including the Viking Line’s new Cruise Ship, the MS Viking Grace and a high-powered RO-RO ferry being built in Australia and employed a GE gas turbine engine. Additionally, several concept designs have been reported for large vessels such as containerships, cargo vessels, LNG tankers, car carriers and VLOCs (Very Large Ore Carriers). Boeing is investigating LNG for aircraft fuel. 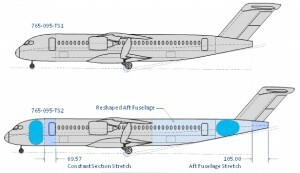 This concept fuselage shows possible LNG storage configuration. The use of natural gas to fuel aircraft has been explored through design and experiment, with commercialization drawing closer. Fixed wing aircraft from a small single engined prop plane to the massive Antonov AN-225 and even helicopters have been fuelled with natural gas. In 2012 Boeing reported on its ‘SUGAR Freeze’ project – ‘Freeze’ refers to the cryogenic fuel storage. The study, complete with technological roadmaps, proposes that combined with all other efficiency measures an LNG fuelled aircraft could reduce fuel-burn over current aircraft by as much as 62%.